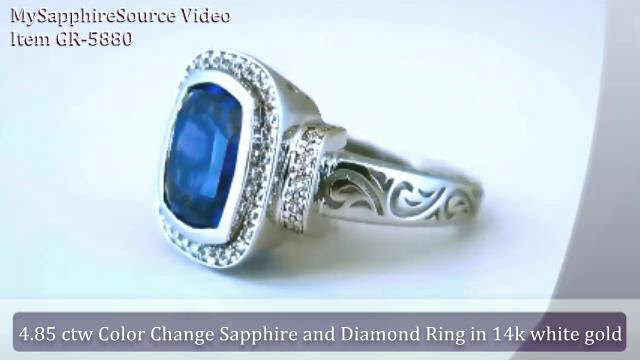 Set yourself apart with an incredible ruby engagement ring from MySapphireSource. Each one of our rubies is hand selected and verified by our on-staff G.I.A. Graduate Gemologist. Rubies symbolize passion and devotion and what better way to celebrate your love than with a ruby engagement ring. Not only is ruby an excellent choice as an engagement ring focal point, it is also the anniversary gemstone for the fifteenth and fortieth wedding anniversaries. It of course is also the July birthstone. If either one of your birthdays is in the month of July, this makes selecting a ruby engagement ring an even more meaningful option. Rubies have a rating of 9 on the Mohs scale of hardness which means they are an excellent choice for a piece that will be worn every day. Even though rubies come in just one color, red, there are dozens of hues and tones and degrees of saturation that bring the final color to life. The most desirable rubies are red to purplish-red with medium to medium-dark tones and strong to vivid saturation. Pinkish hues in ruby are acceptable as long as the gem is saturated enough to be identified as red. Rubies are commonly found with inclusions and some actually contribute positively to the gem's appearance. The more valuable rubies will have limited clarity characteristics which have a minimal impact on the gem's transparency and brilliance.